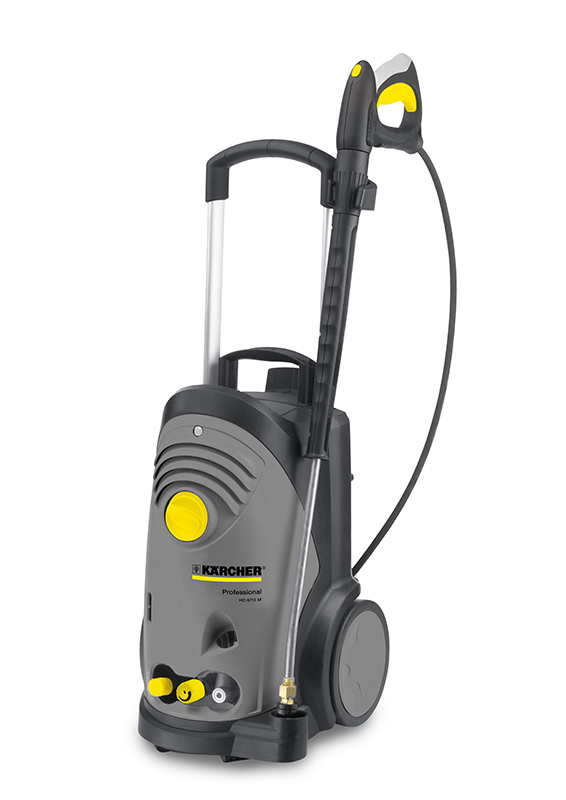 It boasts familiar Kärcher features such as a full shock-resistant plastic covering that protects the high-pressure pump from damage and soiling. Other very good features are a power cord storage (with plug lock) and a nozzle compartment arranged practically on the back of the unit. The three-piston axial pump with chromed stainless steel pistons and a brass cylinder head guarantees a long service life and low susceptibility to faults. The special feature of this newly developed pump is that both the water inlet and the high-pressure outlet are made of brass, which makes them highly resistant to fracture and corrosion.